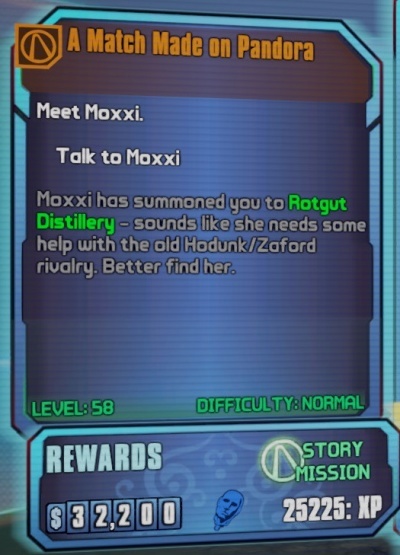 Moxxi has summoned you to Rotgut Distillery - sounds like she needs some help with the old Hodunk\Zaford rivalry. Better find her. This page was last modified on 13 February 2014, at 22:40. Content is available under Creative Commons Attribution Non-Commercial Share Alike unless otherwise noted.